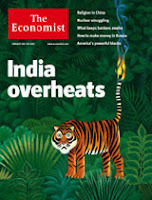 The Economist's cover story ('India on fire', 1 Feb 2007) has brought to light a very important perspective on India's place in the world stage. India's growing importance on the world radar is welcome, but questions are being raised whether it can sustain this momentum without spinning out of control. It's rather like India has its head in the clouds, but if it doesn't see where it's going, it could trip over. Yet, optimistic as Indians are, they will continue applauding the Great Indian Myth. The one where India has everything it needs to become a power to reckon with. The Times of India has started its India Poised campaign to commemorate the achievement of Indians. While I fully appreciate their effort, it reminds me of BJP's 'India Shining' campaign which was a total disaster. There is a certain class of Indians which may feel fulfilled just by reading these success stories, but it also takes away their attention from problems which need to be addressed. We always blame politicians for ruining the country, but forget that we are the ones who elected them. 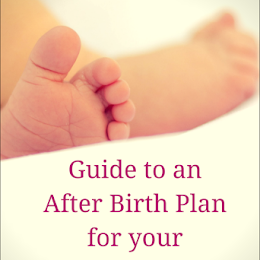 Why is it that we always overlook the most basic problems when charting out our future plans? It's almost as if we are bored of discussing poverty, illiteracy and health. Why is it that all our success cannot give our marginalised citizens access to reliable health care and good education? Why do we have to bribe our way through everything? Instead of feeling first Indians, they feel they are first Muslims and then Indians, first Dalits and then Indians, first Christian and then Indians. This is a dangerous trend and it spells the death of the minimum unified nationalistic pride that can take a country forward. Gautier is so to the point. In fact, the government seems to be constantly reminding people of their divisions in the garb of protecting them. I am not saying we should not be proud of our country's progress, but we should not be so proud that we overlook its deficiencies.